On Monday, the latest installment of the NAHB Wells Fargo Housing Market Index  (HMI) will be released, providing insights into "the pulse of the single-family housing market." The Index is based on a survey that asks home builders "to rate market conditions for the sale of new homes at the present time and in the next six months as well as the traffic of prospective buyers of new homes." 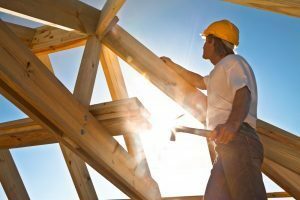 “In the aftermath of the fall slowdown, many builders are reporting positive expectations for the spring selling season,” said Randy Noel, Chairman at NAHB in the previous month's report. The report revealed that February marked the second consecutive month in which all the HMI indices posted gains. It also noted that current sales conditions rose by three points to 67. The component gauging expectations in the next six months increased five points to 68 and the metric charting buyer traffic moved up four points to 48.